The ultra-comfortable Oska Birga Trousers are crafted with 100% linen for a luxurious feel. These trousers are complete with two side pockets, an elastic back waistband, front zip fastening and darts at the knees to emphasise the O-shape silhouette. 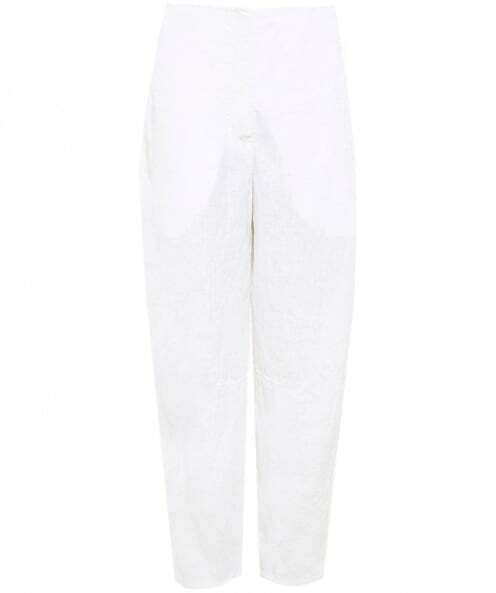 Wear your Oska trousers with a boxy loose top and sandals for a casual everyday look.